Kitchen Table Friends: Better than Grilled Cheese! This is my new favorite quick lunch. 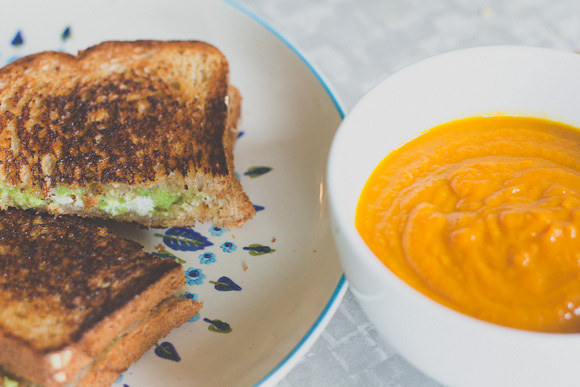 I love grilled cheese in the winter time but know that it doesn't offer much nutrition, which I especially need during these dark January days. So lately I've been swapping the cheddar for avocado, and its delicious! Also adding just a little goat cheese goes along way to giving this an extra comfort-food appeal. And its a good solo lunch when I'm cooking for one. Spread some butter (or ghee, that's what I use if I have it!) over two slices of bread. 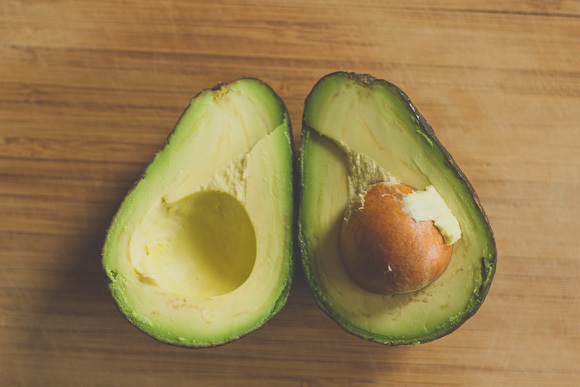 Mash the avocado with a fork and spread over the non-buttered side of one slice. Top with the goat cheese, crumbled (be moderate, a little bit goes a long way). Cover with the second slice of bread so that the buttered sides are on the outside, then toast in a medium-hot skillet until just brown on one side, flip it over for a few minutes on the second side and voila! I had this today with some leftover Carrot Ginger Soup with Coconut. Happy mid-week friend. I like the photo you posted of your well stocked pantry. I'm trying out your black bean soup recipe in my crockpot as we speak. I'll let you know how it goes! 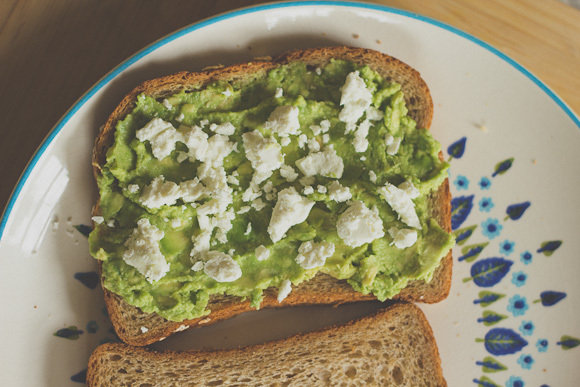 Really love goat cheese & avocado! What a good idea-I will definitely have to try this one!